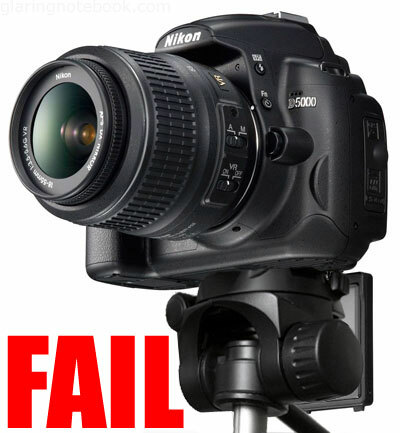 Epic fail, is what I think David Kilpatrick really meant to say about the Nikon D5000, when you put it on a tripod here. Don’t get what he means? This entry was posted in Geek, Pictures on April 15, 2009 by 2konbla. Such awkward design, even with an additional bracket, it wouldn’t help much. Hello? The screen can rotate to face the correct way what. Bowdacious B: I did imagine a tiny tripod shaped like a table heh. Nicholas.C: Of course it can! However, the strongest point of having such a vari-angle screen is to take pictures of yourself where you are in front of the camera while looking at the screen – if not, the Sony A300/A350 screen would suffice. Nikon knew this and so you can use the remote! By looking at the screen you can tell if everybody is ready and facing the camera. Well, without the tripod head (or tabletop) in the way, that is! wait……..oh man, another idiot camera….&gt;_&lt; I think Olympus and Sony did it just about right. Guess Nikon wanted to be &quot;unique&quot;, uniquely stupid is more like it. Frankly, I find it hard to see why they even bothered. 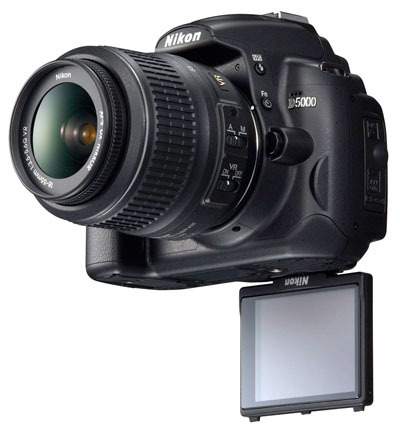 With such a premium price for the less-than-stellar features plus a not too useful albeit more flexible than the A300/350’s swiveling screen, one could easily choose to plonk down their bucks for the D90. Is it me or does it make no engineering sense in using the articulating screens as per those on semi pro bodies? However, this is one application where they failed hehe. This is so funny. Logic prevails! Hail Sony Alpha God. Jannah Raffali: Thanks for bowing!